Do you know if your contractual obligations are being adhered to by suppliers? 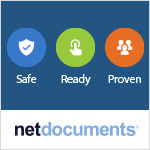 Are you absolutely certain that you have the most up to date contract saved in your system? Have all the email conversations regarding your contracts been accurately incorporated in the final version? In fact, do you have easy access to all your contracts? I’m not being facetious. Recently, I met the head of an in-house legal department at an organisation who mentioned that they were in the process of renegotiating many of their contracts because they simply couldn’t find the documents in question! It isn’t surprising. Contracts often reside in a variety of systems, physical files, hard drives and even email inboxes of individuals, making it difficult to locate the documents over a period of time if formal procedures haven’t been followed. Also, contracts don’t always have the same terminology and language, making their location via electronic searches problematic – even if organisations have the appropriate tools to do so. In situations where global teams are involved, often regional differences in the use of language and interpretation creep in, making the task even harder. A contract is not a one-off activity. Given the pressure to control costs, legal departments need to actively manage commercial agreements to maximise budgets with third parties. Inability to do so can result in revenue loss and regulatory non-compliance, in turn leading to substantial unforeseen financial penalties. However, due to the number and assortment of contracts that organisations typically enter into – with employees, suppliers, outsourcers, etc. – contract management, if done manually, is a time-consuming, manpower-intensive and error-ridden activity due to the growing complexity of a multitude of business agreements. In the current, global business environment, legal departments need the ability to efficiently store and dynamically review and manage contracts – without running into version control madness. One hears numerous stories about how people have been working on a contractual document for hours only to find that it wasn’t the latest version. Or that the person driving the relationship for a particular contract has left the company and the accurate version cannot be found. It’s imperative that legal departments have visibility of the contracts coming up for renewal or end of life, but more critically be able to actively monitor and track the milestones outlined within every single agreement to ensure that it is delivering against the business requirements. In-house legal departments therefore must have a single touch point control across the lifecycle of every contract – right from contract assembly through to renewals and termination. Sophisticated, easy to deploy solutions are available today that can help corporate legal departments streamline and automate contract lifecycle management – end-to-end. Is the solution designed with the user in mind? Ease of use and intuitiveness is essential for user adoption. The solution must be simple to use and yet take away the complexity of contract and document management so that users can minimise the administrative aspects of the function and focus on their strategic role. For instance, solutions allow alerts to be put in place before the expiry of contracts so that timely action can be taken and reporting can be customised to meet individual needs. Will the solution reduce the burden on the legal department? How often does it happen that the legal department is asked to review or amend basic contracts on an ad hoc basis? These requests eat into staff time and detract them from more important legal tasks. By delegating workflows, corporate legal departments can help business areas to become self-serving, while still maintaining tight control over the legal aspects of contracts. For example, business department heads can be allowed to amend the ‘name of parties’ sections of standard non-disclosure agreements only, restricting changes in the rest of the document by building in edit controls. Novozymes, a leading Denmark-based global biotechnology company, is an excellent example of how a large company with a small legal department has enabled designated employees across different business areas to become self-serving, freeing up the small legal team to focus on providing invaluable, business-related legal advice. Does the solution support matter centricity? Lawyers and support staff spend a fair amount of time searching, but not necessarily finding contracts and related information. So rather than storing contracts and information based on standard naming conventions across the organisation, which are often unsuitable for legal departments – a matter centric approach to agreement storage is a better option. 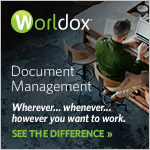 Legal departments are better off deploying a contract and document management solution that creates matter-related workspaces where all related information and contracts are stored across the lifecycle and from varied data sources – everything from correspondence, data, voicemails, emails, and more. In fact the solution must also be able to capture dialogues and discussions that take place via email pertaining to specific contracts that don’t necessarily form part of the formalised documents. Does the solution meet all statutory security and compliance standards? We are all guilty of repurposing contracts by doing a ‘Save as’ and changing primary details such as names, dates, addresses and the like. In doing so, it is possible that the organisation is put at risk because the re-used contract isn’t the latest version and contains outdated terms and conditions. Similarly, confidential contractual documents are regularly exchanged, but seldom are usage rights applied – i.e. things like who is authorised to see it, for how long, how many times can it be downloaded or forwarded via email, etc. Contract management solutions must ensure that all security and compliance policies of the organisation are duly adhered to. Does the solution support mobile working? Mobile working is now a way of life. Frequently, contract finalisations and authorisations get delayed because decision-makers are travelling. Or executives aren’t able to monitor agreements in a timely manner because they may be working remotely for a length of time. To overcome this difficulty, often individuals share these (bulky documents) via file sharing tools (e.g. Dropbox), which simply aren’t secure enough to transfer confidential information. Contract management solutions must support mobile working beyond facilitating sharing of documents – they must also capture and collate related data and discussions – just as is done in an on-premise environment. Does the solution provide digital signature capability? So the agreement is ready to be executed, but the authorised signatory is unavailable – sound familiar? Such situations create knock on issues affecting sales and/or business critical projects. To curb these instances, commonly enterprises resort to printing the contract, manually securing the signatory’s signature and then scanning the copious document to save back into the system. The process is time consuming (sometime can take days), tedious and frankly unnecessary. Digital signature capability in the contract management system is the answer. Adopting a customised contract lifecycle management solution makes business sense. Entering into a contract is only the start, organisations must then ensure that those agreements deliver value. Furthermore, poorly managed contracts can result in loss of benefits, savings and bargaining power, not to mention quality failures that can impact the business and its reputation in the marketplace. Jon Wainwright is Sales Director at Ascertus Limited. Prior to Ascertus, he was Sales Director at Solicitec with responsibility for driving sales and growing the business. His experience in the legal sector spans more than 22 years.